Separatist leaders of the Joint Resistance Leadership (JRL) on Wednesday announced that they will hold a protest march to the Delhi headquarters of the National Investigation Agency (NIA) on September 9 and court arrest there. 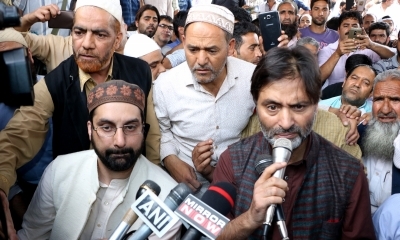 Mirwaiz Umer Farooq, Muhammad Yasin Malik and Syed Ali Shah Geelani told media persons here that they will participate in the march and court arrest to protest against the “harassment” of separatist leaders by the investigation agency. 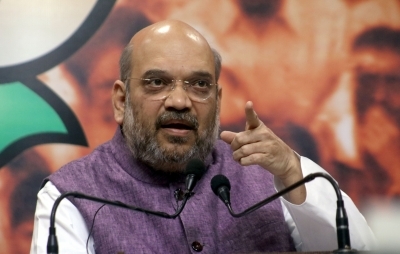 While Farooq and Malik were present at the press conference, Syed Ali Shah Geelani addressed the media on phone since he is under house arrest in the city’s uptown Hyderpora area.